THE SKINNY: I am becoming a bigger fan of the Bliss line of products every day. 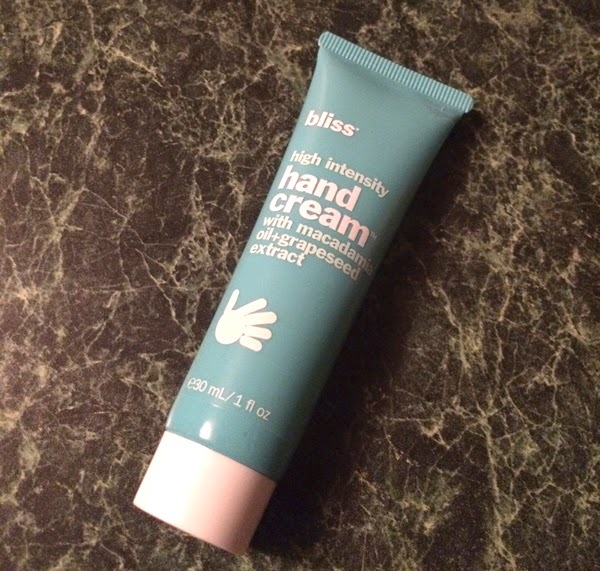 Bliss High Intensity Hand Cream is a powerful option that has been able to calm the dry, cracked skin winter has forced on me. The cream is thick and creamy, but not greasy. It smells light with a hint of lemon. And I could feel it working for hours. This is the first thing I have found all winter that seems to stick around and work. It can be a little on the pricey side for a hand cream, but the overall value is there. CHECK IT OUT: You can find Bliss items at retailers such as Ulta or from the company website, Blissworld (gotta love that name! ).